In 1997, my whole family cruised on the Celebrity Century for a family reunion in honor of my parents 30th wedding anniversary. It was a huge success! Everyone (new and experienced cruisers alike) LOVED the Century. Everyone was impressed with its service and atmosphere (decorated in the rich nautical colors that you think a Classy Ship at sea should be). After a total revitalization 6 years ago, the Celebrity Century She still is the classy ship that she was 12 years ago, only better!!! And yes, small and intimate are 2 perfect ways to describe her. Yet she is large enough to offer every amenity that larger ships offer, only with a bit more class and style. In fact, ALOT more style! We were fortunate enough to be staying in the Royal Suite, but I can testify to the fact that the interior rooms were just as elegant and classically styled. 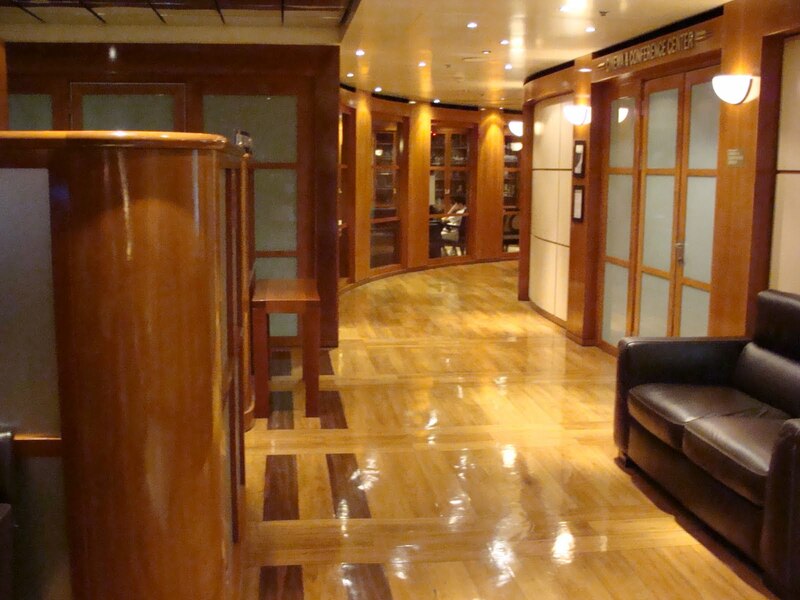 Warm, rich colors and woods make every stateroom feel like a Penthouse suite! Ocean View rooms have very large windows that make you feel as though you are in a verandah stateroom. The designers of the Century should be applauded! The Martini Bar – Great Martini selection served on an Ice Bar. The Murano Restaurant – Table side cooking and elegant service. The Aqua Spa – New and Improved Gym and Spa. Healthy Cafe – Great option for healthy meals! Sushi Bar – Open every night from 5 – 8 for the perfect snack! The Hemisphere Lounge – Great Music till the wee hours! The Grand Restaurant – Still my favorite dining room on the Seas!! So many great attributes. I plan on doing my next Girls Getaway on the Century in Fall 2010. And I have no doubt that every one will be impressed!!! For more information on the Celebrity Century, click here!